There are quite a few weekend hangout options other than the regular, at a hat’s throw distance from Delhi. Nahan, a quiet hill station around Delhi, is one such tourist destination gaining popularity among the travel enthusiasts. It is located in Shivalik hills in the south, and the northern parts are forests and ravines of first and second belt of Himalayan Ranges. It offers exquisite mountain and valley views and deep jungles to be explored. It is an attractive spot for Honeymooners and those planning a quiet weekend trip with family. It is definitely among the best tourist spots in Himachal Pradesh. 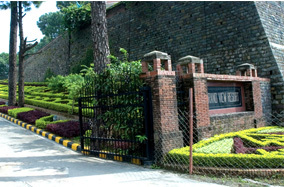 If visiting Nahan, Grand View Resort is a fine ensemble of Indian and western styles, offering the best in class hospitality, comfort and luxury. Located on the hills of Jamta heights, the resort is about 12 kms from Nahan and just 4 kms off Dehradun Shimla National Highway on Nahan Renuka Road. Grand View Resort is top view resort in Himachal Pradesh and allows a bird eye view over the beauty and splendor of the surroundings. Far from the maddening crowds of the city and the constant clamor of urban living, one seems to lose himself among the silent whispers of the giant pine trees and beckoning calm of the towering hills. 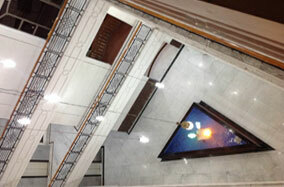 The hotel in itself is complete with all the facilities and services that one can ask for. It offers 38 spacious rooms including Prime, Premium, Deluxe rooms and two Family Suites. The property is a sprawling magnificence of over one and half acres. Resort has a conference hall, 02 multicusine restaurants serving Indian, continental, Chinese among a few. It has a well stocked bar, a recreational area, a swimming pool and a health spa, good well maintained lawns and terraces for private parties. Breakfast and Dinner is also served on a buffet system. The resort strives to fulfill every need that a tourist, whether business class or the one just seeking leisure, can have. To make it a memorable experience the resort organizes treks and jungle camps. Evenings are lit up by bonfires and open air theatre. There are wide acres of open space to explore around. Those who do not want to miss their workout, the resort has a gymnasium in place. Grand View Resort offers travel experiences destined to become lifetime memories. 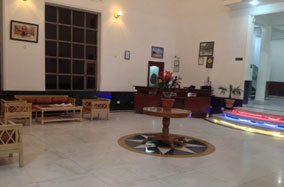 It is one of the best resort in Himachal Pradesh where you can set your foot in. You’ll be missing the days spent, when it is time to set your foot out.